Learn to repair credit for yourself and others and start your own profitable business from home. Credit Repair Professionals are always in demand and can earn $10,000 to $20,000 per month (or more). The most successful credit repair businesses all follow the very same method and we can teach that to you. Work from home and at your own pace -- because it’s all online. If you're looking to start, run or grow a profitable credit repair business, this course will drastically shorten your learning curve. We are so certain that you will love this course, that we guarantee it. If you don’t feel you’ve received tremendous value from this course, just let us know. 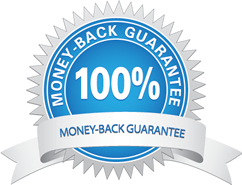 We will refund you 100% in full (and you can keep the certificate). Daniel Rosen is an investor, advisor and the founder of CreditRepairCloud.com. In 2002, he invented the world's first credit repair software. A decade later he launched Credit Repair Cloud, which today powers most of the credit repair industry, with thousands of business users in over 1800 cities world-wide. His products have helped millions of consumers to improve their credit and thousands of credit repair businesses to build and scale their processes. In 2016, Rosen published "The Ultimate Guide To Starting a Credit Repair Business," now available on Amazon (a digital version is included free with this course). 4. Credit Repair 101: How to Read a Credit Report? 8. Which letter to send? This is a credit repair encyclopedia! I will keep going back to it until it has become part of my body! Great course! Learn a lot. This course was awesome!! Very easy to follow, very informative, and most of all it has a step-by-step guideline on HOW to start your own credit repair business! I highly recommend this course! I had very little knowledge of the credit industry, but now I feel like an expert. Thank you so much for the creation of this course and especially for the tools you have available to help me start and run my own credit repair company. Much love!! WELL DONE EVERYTHING I NEEDED TO KNOW. VERY CHEAP AND A LOT OF INFORMATION. At first I was hesitant to start the course but it was not only informative but also amazing that in just a short amount of time and dedication you can achieve becoming and starting your own credit repair business. I love this course! I would take it again if i could! I will be recommending this course to everyone i know. Awesome course! Very helpful and learned alot. Excellent education course, I have learned so much! The Credit Repair Business Training course help me understand the business and what's required to start this business. It's giving me more courage to start the process to make this my business instead of just a dream. This course is like a blueprint to help point you in the right direction, because in the beginning you feel like you are in a maze, not knowing where to go next. Thank you for all the information and advice to get me started on making my dream a reality. This course was well prepared and organized in a manner that allowed you to stay on track and focused on your road to success. I feel like I have a better understanding of what the industry is all about. Thanks for the education. I look forward to joining the Team that is helping America get back on their feet again. I love the training. It is great. Teacher explains concepts in a way that even a child can understand the business. I keep coming back to the training even though I completed the course. Thanks, Daniel Rosen. If you're looking for a course that not only exhaustively trains you in the field of credit restoration and enhancement but also exhaustively trains you in every facet of starting and running a credit repair business, then this is the course for you! Simply put, it is a phenomenal course! You really do get waaay more than what you pay for here! The training is invaluable, if it were free people would probably take it as a scam or something but the training is genius! I used to be a corporate trainer and I see the adult learning model is used throughout the training, so most adults will grasp the concepts quickly and if you follow the business model step by step you'll be in business in no time, it's the real deal! I haven't started mine yet but this gave me the push I needed to get things moving! You can also see how easy the credit repair software is! What I really like about this whole set up is they are obviously training you so you'll use the software, but they don't tell you you HAVE TO use it. They will train you on other means, so it's an OPTION not a REQUIREMENT although if you don't use some type of system I don't know how on earth you'll do it. Anyhoo, all thumbs up from me, and I'm a very skeptical hard sell! I think courses is great way to learn about the way how credit repair work it been a joy for me I have learn a hole lot by taking that course . The price is great but the information is excellent. Simple, easy to do in your spare time. Gives a great overview and details of a credit repair business. The course was very informative and educational. Thank you for the head start to starting my business. I feel that this course is very helpful. I'm excited and can't to get started. My credit repair training class is very unique. I love the material that has been put together for our training class. I'm so glad I took this course, I feel prepared to offer my clients my best ! A Training Program that is easy to understand, but is no rubber stamp qualification. I was impressed with the listed content of the training course, for $59.00 I wasn't really expecting "THAT" much, in terms of the "Hows" and "Whys" of the Credit Repair Industry; I expected to have a brief "here it is, go out and do it!" kind of experience. This training is not dumbed down, and is easy to understand and retain. The use of video along with the text that accompanies each lesson is what I really liked about the course. Each lesson is linked to the next one, and the final exam, in a way, follows that pattern. It is not an easy pass, there is effort involved with it. I would recommend both the training academy lesson material and the training guide "The Ultimate Guide to Starting a Credit Repair Business" which is a free PDF copy of the paperback book, as tools that I will continually refer to. The private members-only forum is also a great resource too. All this for $59.00. Not bad. I'm going to follow the instructions in the course, I'm going to pull my credit reports, my wife will pull hers, and we are going to see what they look like. I look forward to applying what I've learned in the course to our own credit history, and then to the clients that I hope to get once I get things going. Great value and very helpful! Extremely satisfied and money well invested!!!!! $$$$$$........I Give the COURSE 10 STARS**********!